Taste Culinary Boutique, opening at Gardner Village, offers a complete foodies' experience with a unique European culinary flair. Taste offers exceptional European cookware and unique kitchen gadgets and tools and fun-filled cooking classes. Culinary arts courses from online universities may be of interest to you if you have a passion for learning about cooking. Taste owners Laila Hardman and Annie Gilbert designed their culinary boutique based on their extensive travels to culinary stores and cooking courses throughout Europe, Asia and the U.S and their own personal passion for cooking. Cooking classes at Taste take place in the demonstration kitchen. Classes emphasize European fusion style cooking combined with fresh, healthy ingredients. The classes are designed to help one not only enjoy the process of cooking, but do so with confidence! The classes range from Mediterranean dishes, exotic French and Italian cuisine, Spicy Asian to easy All-American dishes and are designed for all skill levels. The kitchen features exclusive and innovative Joseph Joseph cookware, as well as a full variety of European cookware, designed to provide the finest cooking experience. The full demonstration kitchen can accommodate groups up to twenty, perfect for special events such as Bridal Showers, Girls Night Out, Couples Date Night, Church Groups and Bachelorette Parties. 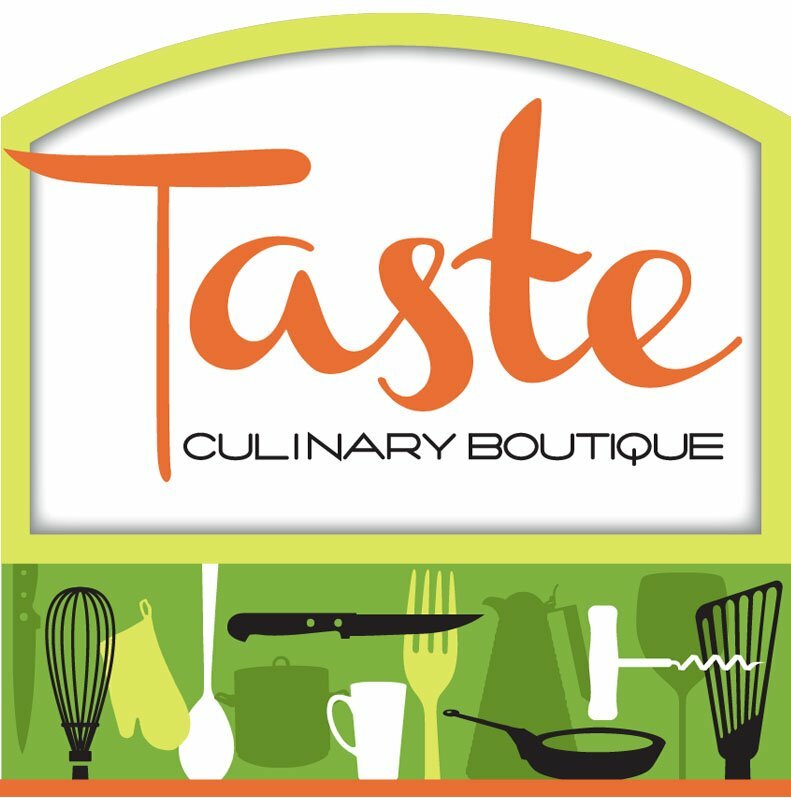 Taste Culinary Boutique is an affordable, yet complete culinary retail shop, offering specialty kitchenware items, cookbooks, tableware, linens, kitchen accessories, local gourmet food items and unique kitchen gadgets. Taste also features gourmet coffee, signature frozen hot chocolate, ice cream and healthy and fresh grab-and-go items.